The 6 year old got his own library card this past weekend. We signed him up for their summer reading program, by which he's encouraged to read at least ten books throughout the summer, getting a sticker for each one and hitting up the library for prizes at the 10 and 20 book level. Thing is, we read several chapters of a chapter book or several shorter books to him every night! So, inspired by the "book bonanza" incentive board I saw in the June/July issue of FamilyFun magazine, we've upped the ante a little, requiring him to read 1-2 "learn to read" books on his own (with our help, of course, if needed) or a chapter book that we'll read to him in order to earn a sticker plus a little prize in the mini sand pail, leftover from last year's birthday shenanigans. My favorite show is on again tonight. I've had some issues with the show the last couple of years, not to mention a newborn who kept me from watching consistently last summer, but it continues to be one of my favorite shows of all time, top in the reality category, and I very much look forward to it each week. A couple of summers ago I started letting my now 6 year old son watch the opening routine. He was pushing his 8 pm bedtime and, as we had no way to record it at that time, causing me to miss the first few minutes of the show. How does that expression go? If you can't fight 'em, join 'em? Okay, this one's pretty obvious, and I'd imagine they'd do a contemporary routine to the Demi Lovato version but it was actually while watching the more Broadway-esque "frozen fractals" moves by Elsa, performed by Idina Menzel, about 2 1/2 minutes into the movie version that got me thinking about all this in the first place. And a quick search on YouTube yields quite a few amateur dancers who've already given it a shot. And yeah, I know this has already been done on Dancing With The Stars, but you and I both know that doesn't really count. And anyway, their version is so ... obvious. The choreography is actually set to the movie version, so I'll give them that, but pro dancer Peta Murgatroyd is dressed and made up to look like Elsa, which is unnecessary, and really, the choreography should be performed by a soloist, or two girls, like in past finale shows, don't you think? Like this fitness dance choreo? Well, not exactly. Or this more, uh, artistic interpretation? Um, no. I'm thinking a little hip hop number by Christopher Scott, perhaps? In the meantime, Chris, enjoy some freestyle moves by local kindergarteners for inspiration. Maybe a latin ballroom number set to this catchy tune by Janelle Monáe? There was a song in Mr. Peabody & Sherman? Um, yeah. I didn't even see this one but when it came on the radio recently my son asked me to turn it up. When I asked him where he'd heard it he remembered the song from the kid's movie. His favorite part seems to be the "a-o" bit in the chorus. Not sure about choreo on this one - maybe a lyrical hip hop number like this one? The video for this song actually premiered on SYTYCD back in 2012 so it's a no-brainer. And contemporary would be the obvious choice but I could also see some sort of ballroom routine set to this. Anything you (or your kid) would add? After an epic summer vacation kick-off, spending the past month with at least one of my two kids at all times, sometimes both, I'm enjoying some peaceful work time again this week and quickly catching up. Don't get me wrong - I'm lucky and grateful to be able to spend big chunks of time with my kids throughout the year. That's why I do what I do, even if it doesn't make much financial sense some months! But I'm also grateful for summer camp. Amirite, mamas? 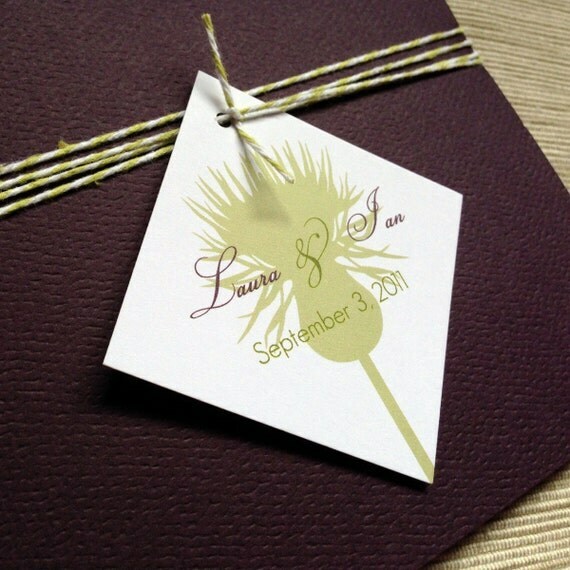 First up, I added a new design right before I went into vacation mode last month - a "French country" or "herbal" wedding invitation in sage, moss, and aubergine. Samples are also available. I just sent another new design off to the printer yesterday so stay tuned for that one in about a week or so! And yesterday, I nominated my business for the Martha Stewart American Made 2014 Awards. I nominated myself a couple of years ago and it's funny, on the one hand, I'm two years wiser in this micro business adventure, but on the other hand, I'm still catching up from my extended maternity leave with baby #2. "Describe your workspace." Um, well, right now I'm typing this at my dining room table. My husband, who also works from home, is across the living room at our one desk, which I occasionally use when I need to print something since that desk is located next to the entryway closet where my printer is stashed. And if I need to fetch an item from my ready-to-send inventory or package up a custom order, I'll head out to my garage, where I store all of the stuff that used to fit into my home office/studio, now my daughter's room. So, yeah, I could really use that $10K. And in general, my attitude in life lately is a little like buying a lottery ticket: you can't win if you don't play, right? Wish me luck!